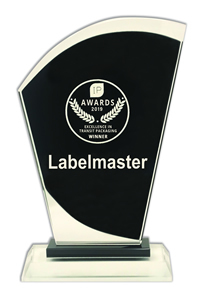 Labelmaster is proud to announce that our Obexion lithium battery packaging won the Industrial Packaging Award for Excellence in Transit Packaging. Obexion was selected for enabling the safe and compliant transport of lithium batteries and was recognized during Industrial Pack 2019 in Atlanta on March 27, 2019. View and shop the complete line of award-winning Obexion lithium battery packaging. And keep tuning in for more news about Obexion! 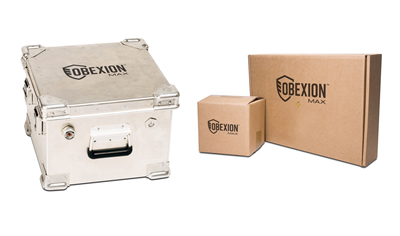 New Obexion packaging — exclusively from Labelmaster — is a complete line of protective packaging solutions engineered specifically for shipping and storing lithium batteries and devices that contain them. 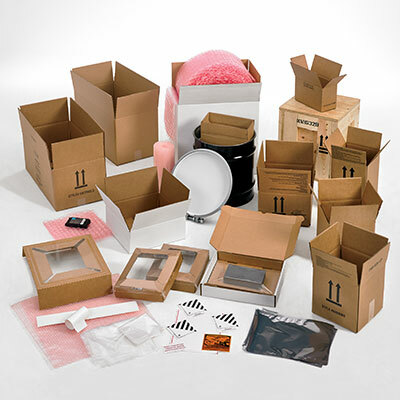 Ideal for shipping damaged, defective or recalled lithium batteries and/or equipment containing them, Obexion Max packaging mitigates risk via the use of the Obexion Technology Suite – flame retardance, thermal management, pressure management, blast and projectile containment, flame arrestment, flammable & hazardous gas filtration and smoke filtration - yet requires no gel packs, beads, heavy liners, pellets, or fillers. Obexion Max boxes arrive assembled with simple, easy to use closure instructions helping you effectively and efficiently transport the batteries cost effective and compliant. Plus…they are 100% recyclable and is non-toxic and non-hazardous. Obexion Max packaging has been issued a US DOT Special Permit authorizing the packaging for transporting damaged, defective, or recalled phones, laptops, tablets, and batteries by ground. Single-use fiberboard options and multiple-use metal options are available. 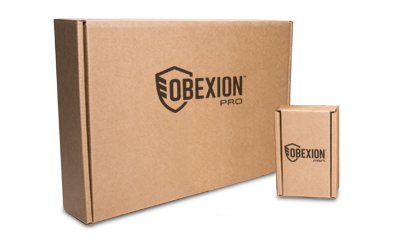 Obexion Pro give you confidence to ship lithium batteries or devices by simply packing them into a Obexion box and sealing it — no gel packs, beads, pellets, or liners required. For additional battery packaging shop our product Battery Packaging category. For additional Lithium Battery Shipping information visit our Lithium Battery Industry News page. View the PDF for the Obexion Battery Recycling Box DOT Special Permit 20527.